Fareportal, a high-tech, high-touch travel company powering the next generation of travel, made a $5,000 cash donation to Croce Rossa Italiana, the Italian national Red Cross Society. The donation is in response to the 6.2 magnitude earthquake that struck the central region of Italy on August 23, 2016 killing over 290 people and leaving more than 2,000 without homes. Fareportal has a longstanding commitment to helping communities in need through charitable donations and volunteer work. The company is always seeking out new opportunities to get involved with charity organizations both at home and abroad. Fareportal is a high-tech, high-touch travel company that powers a next generation travel concierge service. 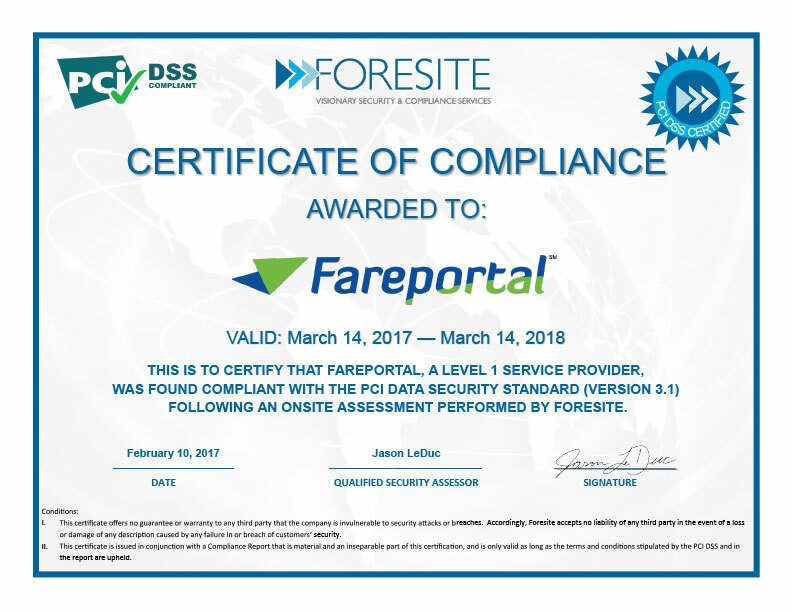 Utilizing its innovative technology and company-owned and operated global contact center, Fareportal has built strong industry partnerships; providing access to over 450 airlines, 150,000 hotels, and hundreds of car rental companies that serve millions of customers every year. With a portfolio of consumer travel brands, including CheapOair and OneTravel, Fareportal provides its airline partners with access to a broad customer base that books high-yield international travel and add-on ancillaries. CheapOair, a leading flights-focused next generation concierge travel service consisting of a traditional travel agency with a digital front end, is now offering customers the option to pay via their Android smartphone with Android Pay. Following the announcement of the Android Pay pilot program, Google identified key e-commerce mobile apps to join in the development phase of the project. CheapOair was selected as the only online travel agency to participate, consistent with its role as an industry leader in technological innovation. Android Pay is a convenient, easy-to-use platform giving customers another secure payment option for mobile transactions. Once customers have chosen their desired itinerary, they can simply select Android Pay at checkout and within seconds their payment is safely initiated. CheapOair’s in-house Android development team played an instrumental role in the functionality of Android Pay as it relates to the online travel agency environment. The overall architecture and business process was tested and approved by Google, Chase Paymentech, and CheapOair’s internal booking and processing teams. Lessons gleaned from CheapOair’s success with the integration are now being used as benchmarks to onboard new merchants on to the Android Pay platform. In order to offer more flexibility and convenience, CheapOair is dedicated to adding payment options customers prefer. Android Pay joins an array of other payment options accepted by CheapOair including all major credit cards, PayPal, and Apple Pay. The CheapOair Android app can be downloaded for free through the Google Play store. Users praise the convenience of being able to use Android Pay for their flight bookings and since its launch has already grown into a highly-used mobile payment method. CheapOair is a flights-focused hybrid travel agency that enables consumers to book online, on mobile apps, by phone or live chat. CheapOair (https://www.cheapoair.com, 1-800-566-2345) bridges the gap between an online and traditional travel agency with certified travel agents available 24/7 to help find deals and offers to destinations worldwide on over 450 airlines, 150,000 hotels, and 100’s of car rentals. Partner airlines benefit from access to CheapOair’s broad customer base that books high yield international travel and add-on ancillaries at above the industry average. Follow CheapOair on Facebook and Twitter to learn how to travel the world for less. CheapOair, a leading flights-focused, next generation concierge travel service consisting of a traditional travel agency with a digital front end, was recently recognized by Apple as a “Popular Way to Book” in the App Store’s Travel category. The CheapOair app, released over four years ago, continues to be a favorite for travelers booking flights, hotels and cars on the go. This is the second consecutive year that the CheapOair app has been featured as a top travel app in the Apple App Store. The CheapOair app for iOS provides a simple interface for customers to plan an entire vacation directly from their mobile device. Users can search for flights, hotels and cars to easily book the best vacation options for their needs. Customers can also enjoy the ease of one-touch payment with the integration of Apple Pay technology. Checking out is as easy as selecting Apple Pay and placing your finger on Touch ID. The CheapOair app for iOS can be downloaded for free through the Apple App Store. CheapOair is a flights-focused hybrid travel agency that enables consumers to book online, on mobile apps, by phone or live chat. CheapOair (https://www.cheapoair.com, 1-800-566-2345) bridges the gap between an online and traditional travel agency with certified travel agents available 24/7 to help find deals and offers to destinations worldwide on over 450 airlines, 150,000 hotels, and 100s of car rentals. Partner airlines benefit from access to CheapOair’s broad customer base that books high yield international travel and add-on ancillaries at above the industry average. Follow CheapOair on Facebook and Twitter to learn how to travel the world for less. CheapOair, a leading flights-focused, next generation concierge travel service consisting of a traditional travel agency with a digital front end, is excited to introduce its travel exploration app for the 4th generation Apple TV. CheapOair is the first and only online travel agency to release an app on the Apple TV platform that inspires users to search and plan budget-friendly trips to unique destinations across the world, maintaining its role as an industry leader in technological innovation. With the CheapOair Explore app, aspiring travelers can discover thousands of new and unique travel options from the comfort of their own living room. Within seconds, users can see where in the world they might be able to fly and for how much using specific travel dates and budget parameters, all entered through an easy-to-use interface. Personalized Wishlists allow customers to save desired itineraries for seamless booking on CheapOair.com or through their CheapOair mobile apps for iOS and Android. The CheapOair Explore app is the perfect tool for travelers unsure of their next vacation destination to find somewhere interesting and unexpected that they could visit. With a combination of vivid imagery and affordable prices, CheapOair hopes the CheapOair Explore app will introduce customers to a new method of destination discovery. The CheapOair Explore app can be downloaded for free through the App Store on Apple TV or is also accessible on CheapOair.com. CheapOair is a flights-focused hybrid travel agency that enables consumers to book online, on mobile apps, by phone, or live chat. CheapOair (https://www.cheapoair.com, 1-800-566-2345) bridges the gap between an online and traditional travel agency with certified travel agents available 24/7 to help find deals and offers to destinations worldwide on over 450 airlines, 150,000 hotels, and 100s of car rentals. Partner airlines benefit from access to CheapOair’s broad customer base that books high yield international travel and add-on ancillaries at above the industry average. Follow CheapOair on Facebook and Twitter to learn how to travel the world for less. CheapOair, a leading flights-focused, next generation concierge travel service consisting of a traditional travel agency with a digital front end, announced today the top ten domestic and international destinations its consumers are traveling to for Labor Day Weekend. This year’s data shows that the most popular vacation spots include many of the same cities visited last year, including Dallas, Denver, Los Angeles, Las Vegas, Fort Lauderdale, Chicago and Orlando, while also showing that there are still airfare deals to be found for each. CheapOair’s data also highlighted interesting findings, including that because lead time for bookings has decreased, airfare prices have decreased as well – which is great news for the spontaneous traveler. “This year, we’ve seen an increase in last minute bookings within 10 – 20 days before the consumer’s travel dates due to a decrease in fares,” added Spagnola. Domestically, this year’s top city for Labor Day Weekend travel is Las Vegas, with an average roundtrip ticket price of $280, which is down 3 percent from last year. Orlando and Denver are runner up and third place on the list, both decreasing almost 10 percent in price. Fort Lauderdale had the lowest prices available, with a roundtrip flight priced at $229, which is a whopping 39 percent price decrease from last year. Time to hit those South Florida beaches! *The fares referenced are averages, based on bookings made beginning July 1st, for travel anytime between September 1st and September 10th, 2016. For international destinations, Cancun continues to stay at the top of the list as the number one vacation spot consumers are visiting, with the airfare price down 9 percent from this time last year. Punta Cana saw a price increase of 8 percent, but still came in ranked as the number two destination where travelers want to be for the weekend. Additionally, according to the data, San Juan had the lowest prices available, with a roundtrip costing $345. Travelers can sign up to receive daily travel deals to various destinations, including the top Labor Day Holiday getaways for 2016, by creating a CheapOair profile at CheapOair.com. For more information, please visit CheapOair.com, CheapOair.com/mobile, or check out CheapOair’s Miles Away blog for travel tips and trends. CheapOair is a next generation concierge travel agency (online/traditional) that enables consumers to book travel online, on its award winning mobile app, by phone or live chat. CheapOair bridges the gap between an online and traditional travel agency with certified agents available 24/7 to help find deals and offers to destinations worldwide on over 450 airlines, 150,000 hotels, and many car rental companies worldwide. Partner airlines benefit from access to CheapOair’s broad customer base that books high yield international travel and add-on ancillaries. Follow CheapOair on Facebook and Twitter to learn how to travel the world for less or go to www.cheapoair.com or call 1-800-566-2345.